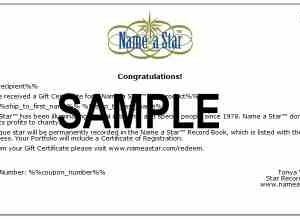 Name a Star will help you register a star in the universe to someone special who has passed away. 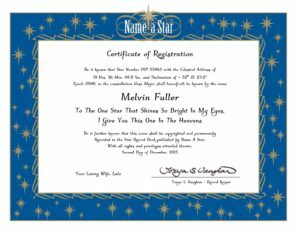 Dedicate a star, so you can remember a friend or loved each time you look up into the night sky. Name a star after someone who died. 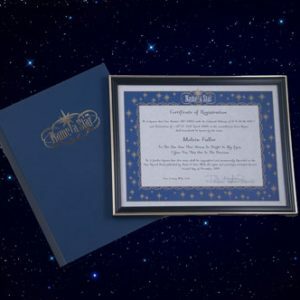 Customize the star certificate with a personal message or tribute to honor someone with a memorial star. 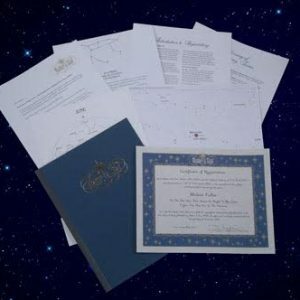 Name a Star, the original star naming service, has been helping customers purchase and register star names since 1978. We guarantee customer satisfaction and have a reputation for reliable service. 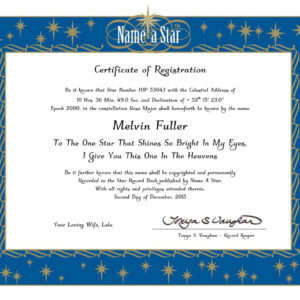 With Name a Star, it’s fast and easy to buy a star and give the gift that lasts for eternity.